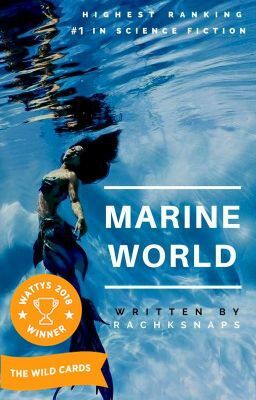 A featured story|Wattys 2018 Winner| Seventeen-year-old Aura and the three other genetically modified humans in captivity have been planning an escape from Marine World for months, but when one of them going off the rails leaves the rest under scrutiny, Aura's plan to escape becomes nothing more than a dream. That is until a new security guard is sent to keep an eye on the mermaids and the secrets of Florida's most beloved theme park begin to float to the surface, changing the world as Aura knows it forever. Copyright © 2018, Rachksnaps. All rights reserved. *Highest ranking: #1 in Science Fiction Science fiction|Romance|Action Please don't translate this story.